Is the Sony RX10 IV good for Portrait Photography? Sony RX10 IV has a score of 70 for Portrait Photography which makes it a GOOD candidate for this type of photography. 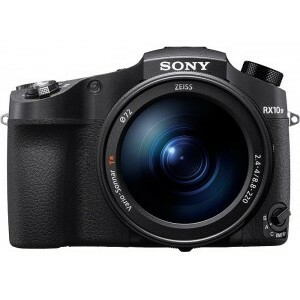 Sony RX10 IV will satisfy most of your needs, but if you are looking for a camera that is even better suited to Portrait Photography, we recommend you to check the Alternative cameras at the bottom of this page. Even though Sony RX10 IV's sensor is significantly larger than a typical compact camera sensor, it is still hard to achieve that shallow depth of field and a blurry background for your portrait shots. Sony RX10 IV's 20.0MP sensor will provide larger room for cropping, and you will be able print your portrait shots larger with more fine detail. Use of External flash creates many creative lighting opportunities for portrait photography. Techniques like bounce and fill-in flash will make your portraits stand-out from the crowd. A correct exposure of portrait model is crucial. Even though modern digital cameras features advanced algorithms to calculate the right exposure, they still may fail some difficult conditions. Manual exposure mode in these conditions helps a lot in order to achieve correct exposure.